Dedicated sports fans are always game to try out new and exciting ways to show their teams how much they are loved. Getting the entire family involved is a special way of spending quality time with the kids and embracing the home team at the same time. Check out these ideas for sparking some new fire into rally time. 1.Adopt a Player – Most people have specific players that they adore. Find out which players your kids admire most and “adopt” them. Help the kids make homemade cards to send to team members, and be sure to let the kids sign their own names. You never can tell if one of the players might just send a note back. 2.Hold Your Own Pep Rally – Time to call all the friends and relatives and invite them over for a pep rally! Remember the good old days of high school rallies before a big game? Recreate them at home to bring back that spark of excitement. Haul out the sports trivia games, decorate with the team colors and don’t forget the party favors! To get the kids involved, have them help make theme related snacks to serve throughout the rally. 3.Get Other Families Involved – If the sports team you happen to be rooting for is your kid’s local team, get other parents involved and show your children a united front of support. Come up with a special cheer or fight song to rally the kids on to success. Your child will be so excited to see the entire family and all of her friends showing support for her team that she’s sure to be psyched for the big game. 4.Create a Cheer Squad – The home town team may not have a cheerleading squad of its own, especially if you live in a particularly small community. Get the kids and a few friends together and create one to cheer the team on to victory. Crafty moms can even sew up cheerleading uniforms for your little cheerleaders, and the kids can help you put together pom-poms! Work with the kids to come up with some original cheers or borrow a few from your own school days. 5.Enroll the Kids in a Team-Sponsored Sports Clinic – Many professional teams will sponsor sports clinics for kids during the summer vacation. Kids will learn about the sport they love and get a chance to play with some of the team members. They may also have opportunities to get t-shirts, posters, autographs and other memorabilia. Just think of how exciting it will be for your kids to cheer on the players who helped them learn and love the sport. 6.Make a Sports Board – Grab a bulletin board and encourage the kids to cut out stories and pictures of their favorite teams. Be sure to discuss the additions to the board as a family, too. You can also keep track of the teams’ stats here, as well as stats for favorite individual players. Pretty soon you will have a complete sports collage! 7.Pick a Women’s Team to Follow – Female athletes are growing in popularity all the time. Following a women’s team in the sport your daughter enjoys is a wonderful way to support the team and your daughter, too. Girls need to know that they can aspire to make it in professional sports just like boys, and by supporting a female team you are sending a positive message to the girls in your household. 8.Attend Special Events Hosted By Your Favorite Team – From time to time, professional teams will sponsor special events. Sometimes they’re sports related, and sometimes it may be for charity or to support cause awareness. Taking the kids to such an event lets them know that the players do more than just play sports; it’s good for kids to see the players caring about and participating in the community. 9.Take the Kids to a College Game – Colleges often have several different sports programs, and each one has a team. Find out what your kids are interested in and take them to some of the college games in those sports. Some college student athletes can provide good, accessible role models for your kids. You can also discuss what it takes to be a collegiate athlete. Who knows, maybe your kid will want to pursue a path in college athletics as a result. 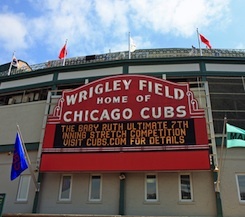 10.Go to a Game Together – Tickets to professional sporting events aren’t cheap, but the prohibitive price tag doesn’t have to keep your family from making an event of seeing the game! 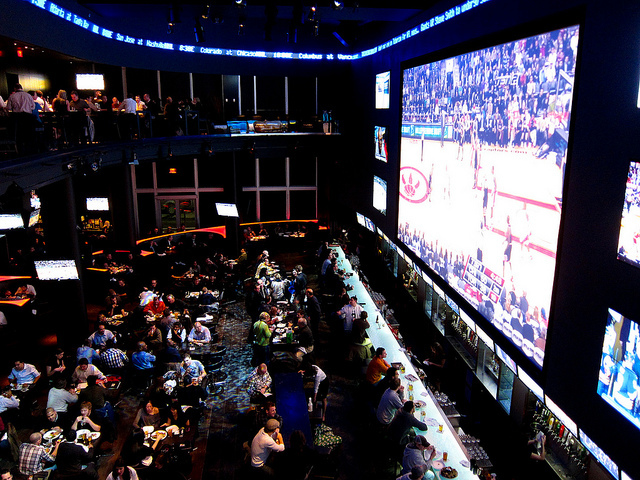 Lots of restaurants now have big screen TVs so you can watch the games with lots of other dedicated fans. Choose a place that caters to families and have a night out on the town. The kids will have loads of fun cheering along with all the other sports fans around them. This night out is sure to be one that will stick in their memories for a long time to come, and one of the really cool things is that you don’t have to clean up the mess! Sports Techie, Here are my ten comments on the 10 creative ways your family can support your fave sports team. Adopting a player is the lifeblood of sports, remember, the B in LeBron James is capitalized when you cheer on the Miami Heat in the NBA Playoffs. Be sure to record a smartphone or tablet video of the energetic pep rally. Get others families involved by using social media such as Facebook and Twitter to communicate. The MLB baseball game cheer squad needs to go viral on YouTube. Perhaps the most fun creative way of the ten ways is attending team sponsored sports clinics where you can meet the players in person, ask the coaches questions and get some free swag. Figure out a way to digitize your sports board using Windows 8. This time of the year, women’s college softball is a family viewing delight. The family and community bonds that happen at team events are lifetime memories. No doubt about it, NCAA college sports programs are made for families and kids to interact with teams. Finally, learn to incorporate a second screen and data as part of the entertainment experience when you all go to a game together. Why stop at ten, think of five more and add them to the list. Share your sports technology centric family support your favorite sports team ideas with a blog comment or via any of our Sports Techie social media network links below.